Micromax mobiles has officially launched its new budget Android phone, Micromax A92 Canvas Lite in India. It was announced on last April month and it comes with a 5-inch TFT capacitive touch screen display with the resolution of 854x480 pixels. It runs on Android 4.1 Jelly Bean operating system and powered by 1 GHz dual-core processor with 512 MB of RAM. Micromax A92 Canvas Lite phone has dual Sim support with dual stand by feature. The phone has 4 GB of internal memory and the external memory up to 32 GB with microSD cards. It comes with a 5 MP rear camera with auto focus and LED flash options. It is packed with 2000 mAh battery that supports 6 hours of talk time. The phone has the connectivity options are 3G, Wi-Fi, Bluetooth and GPS. 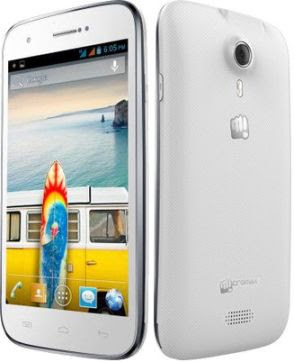 Micromax A92 Canvas Lite is priced at Rs.8499 and it is already spotted online on Flipkart with out of stock message. However the phone will be available on major retail stores across India from this weekend or first week of July 2013.